Our walk begins from the village to follow the quiet farmland valley of the River Evenlode. 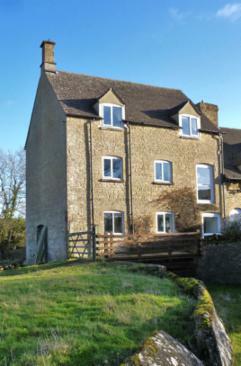 After passing the Ascott mill, we climb the opposite valley side to Chadlington. We end the walk by returning along the valley side visiting Shorthampton church with its fine medieval wall paintings. Back in Ascott village, there are the remains of two Norman castles. Starting from the village of Chinnor we climb through the beech woods of the Chiltern Hills scarp slope. From the top there are good views across the south Oxfordshire. We descend to reach the ancient Upper and Lower Icknield Ways crossing the land below. 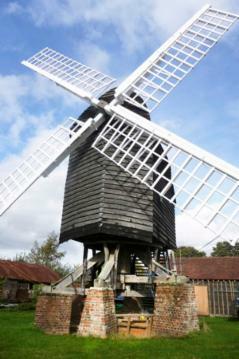 On arriving back at Chinnor, the restored windmill can be visited. A walk in the floodplain of the River Ock, a tributary of the River Thames. The many place names ending in '-ey' from the Old English for 'island' reflect the fact that villages we pass through were once islands in marshy ground. The mills range from the ancient to the very modern, using water to power our homes rather than producing flour to power our bodies. Our route descends from Woodcote village through beech woods to Nuney Green and down the steep chalk slope of the River Thames valley. The tall chimneys of Mapledurham House can be seen as we descend. 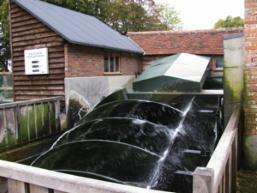 The 15th-century watermill is the only working one on the Thames. We return via the wild woods behind Hardwick House, the inspiration for Toad Hall in The Wind in the Willows. We cross Whitchurch Hill to return to Woodcote. In Wiltshire, the route follows the Kennet and Avon canal to the Crofton pumping station. From there we continue to the site of Wolfhall, the ancestral home of the Seymour family made famous in Hilary Mantel's novel. 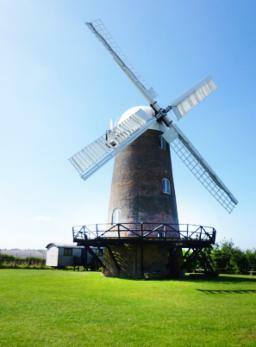 We cross the open countryside to go through the village of Wilton and on up to Wilton windmill. 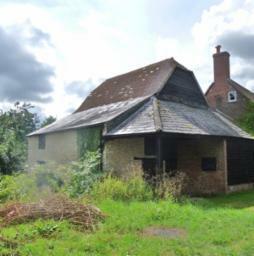 The route goes through woodland and part of an original deer park to descend to the church and village of Great Bedwyn.